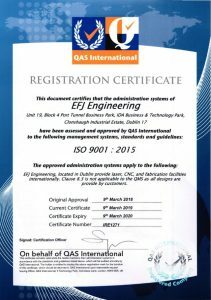 We are proud to announce that EFJ Engineering have successfully maintained our ISO 9001:2015 certificate following a recent external audit. 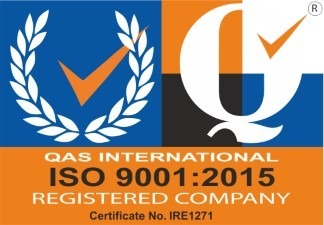 ISO 9001:2015 Quality Management System (QMS) is internationally recognised as the world’s leading quality management standard and it is just one of the many necessary steps EFJ takes to ensure we provide a world class service to our customers. This QMS is maintained and modified regularly by our quality management representative, Jeff, who is seen below framing our latest certificate. We regularly review and improve our procedures to continuously improve our quality manufacturing and engineering services to our customers. The whole principle behind the ISO 9001:2015 standard is to document, execute and record all quality procedures. All of the team in EFJ operate to this high standard and are always looking for ways to improve.